Those wishing to prepare for Darksiders III can experience the original 2 games starring Fury's brothers War and Death before it launches this November. 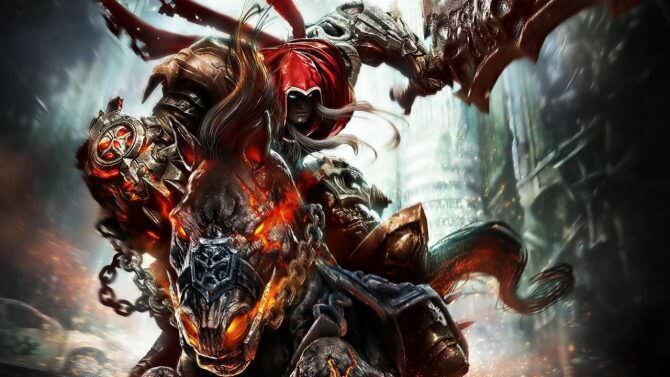 Those who pre-order Darksiders III can download Darksiders: Warmastered Edition immediately. If you pre-order the Blades & Whips Edition of Darksiders III from the Microsoft Store, you’ll then be able to receive both Darksiders: Warmastered Edition and Darksiders II: Deathinitive Edition. In addition, both games have been updated with 4K visuals. Darksiders III launches on November 27th for Xbox One, PS4, and PC. Sekiro: Shadows Die Twice New ..
Mortal Kombat 11 DLC Character..
Street Fighter V Free Trial St..
IGN's Former Employee Filip Mi..
God of War Gets a New Document..
Latest Days Gone Trailer Highl..